The future is now! Remember when we had to suffer with getting our headphones snagged on everything from cupboard doors to gym equipment? Yes, that’s right, wireless bluetooth headphones have hit mainstream. 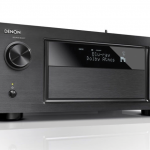 This means that not only has the technology matured to a point where they actually work really well, but many of them are quite reasonably priced. These are no longer just devices for dorks. 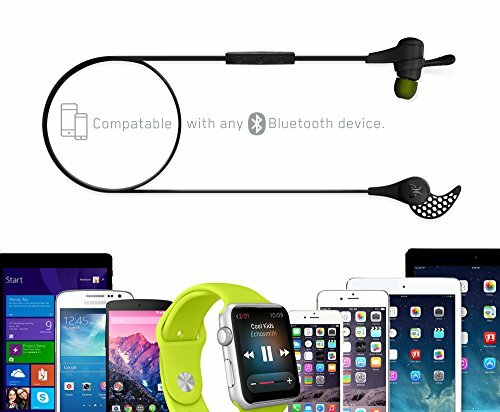 In fact, with the arrival of the iPhone 7 in 2016 many consumers have found themselves NEEDING a set of wireless bluetooth headphones since Apple has completely removed the good old 3.5 millmetre headphones jack. Take a minute and bid farewell to this connector port that has likely been around for longer than you have been alive. It’s on it’s way out, but the wireless headphones we have at our disposal are legitimately awesome, so don’t fret. So, what we have done is create an in-depth Buyer’s Guide for wireless bluetooth headphones. Just in time for Christmas shopping! We didn’t want to compare a pair of $50 earbuds with a full-blown pair of studio cans so we decided to create discrete categories of headphones. 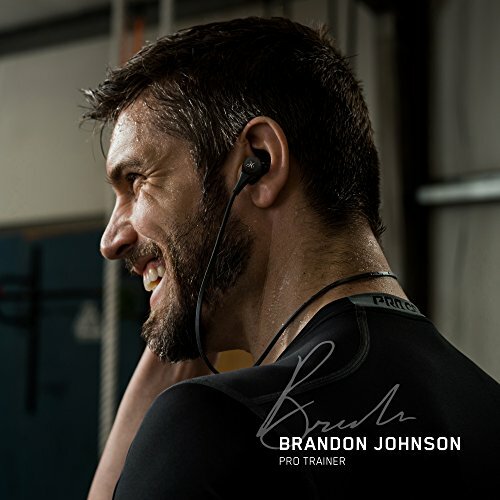 Depending on your lifestyle or sound-quality expectations you may fall in the more portable or “sport” side of things with a great pair of wireless earbuds or you may want a reference set of over-the-ear headphones that can stack up against the best around. We have identified our absolute favorite winner in each category but also include four different “runners up.” We’ll explain our choice but also mention why you may want to go for one of the second place models. In some cases the runners up may even be better for your particular situation. What is important here is that we have removed the garbage from the equation. And there is A LOT of garbage on the market. Every pair of headphones we recommend is tried and tested and we see it as the apex of this industry. So without further ado, let’s get started with the Buyer’s Guide. 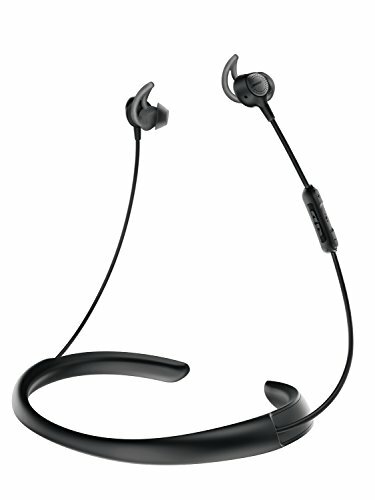 Our first category is arguably the largest market for wireless bluetooth headphones. Most consumers are simply looking for a great pair of portable earbuds that they can pair with their iPhone or Android phone and enjoy some tunes while commuting or hanging around the house. This category has grown in leaps and bounds in the past few years. What was once a niche product category has now become basically THE way that you buy earbuds. 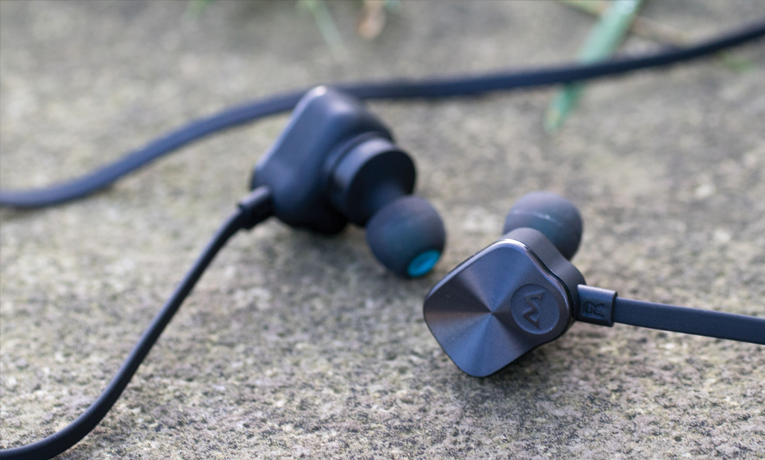 Having said that, there are a few companies that have stood out in the way they approach wireless earbuds, particularly Jaybird. Let’s look at our overall winner for best wireless earbuds. Jaybird has been in the wireless headphone game ever since it has existed. And they have learned a thing or two over that time of trying new things and tweaking their approach. 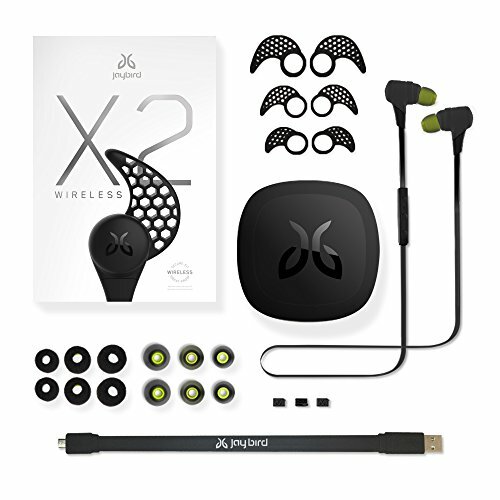 If you do a quick Google search of the best wireless bluetooth earbuds, you are guaranteed to come across the Jaybird X2. These are really one of the most well-designed products around today. But Jaybird wasn’t happy to stop with the X2’s (which are admittedly still one of my favorite sets). 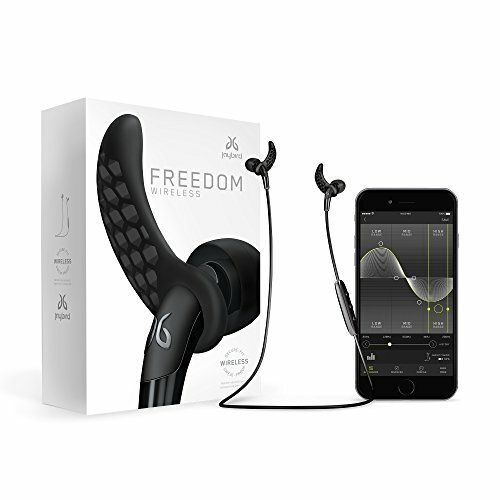 They created the follow-up / upgrade called the Jaybird Freedoms. These units take everything they learned from the X2s, slimmed them down, added some killer audio equalization options and somehow were able to keep the battery life at the very serviceable 8 hour mark. 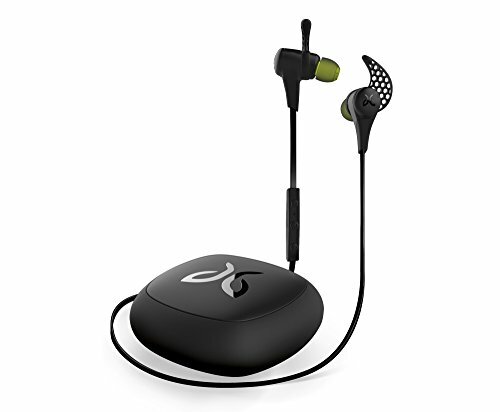 The Jaybird Freedoms have a pretty genius design. They have a charging clip which serves as the spot where you plug in the included micro USB cable for charging. But the magic happens when you attach this clip to the headphones while they are in use. You see, the charging clip serves as a second lithium polymer battery, effectively doubling the 4 hour run-time to 8 hours. This is awesome because sometimes you just need the lightest possible headphones (remove the clip). But sometimes you’re going to want to squeeze out as much run-time as possible (attach the clip). 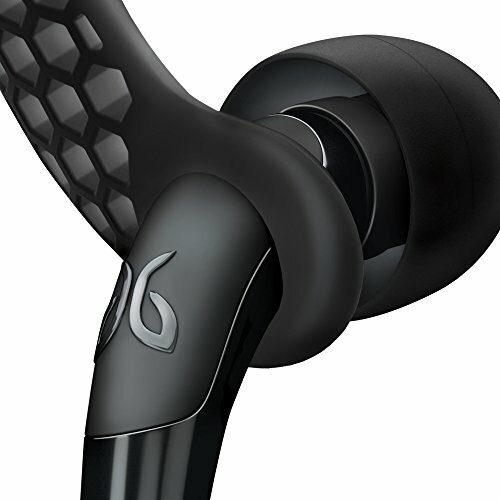 It is this innovation that keeps the Jaybird Freedoms at the top of our list. Earbuds are the thing that I destroy most often (along with shoes). They are small and can potentially be dropped or damaged in some way due to their portability. This is why we took build-quality into account in crowning the Jaybird Freedoms the kind of wireless earbuds. 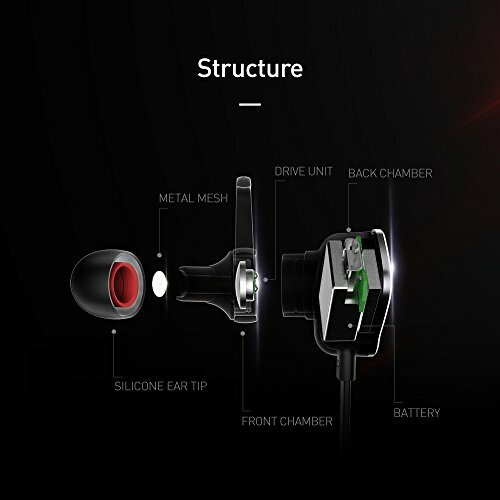 Even though the earbuds are super small, they are made out of tough premium metal. On the physical side, they also feature really handy (and solid) fin stabilizers to keep the earbuds in place in your ear. All around, the design is sleak, durable and just oozes quality. These are the wireless bluetooth earbuds to beat. No other manufacturer really comes close to the industrial design, durability and feature set offered by this pair. If you are looking for a high quality pair of earbuds, these are your best bet. Overall the Jaybird Freedoms are likely the most versatile headphones on this list and will likely fit the bill for most users. But if you are a user that does a lot of jet-setting around but also want the portability of earbuds, then consider the Bose QuietControl 30 noise canceling earbuds. 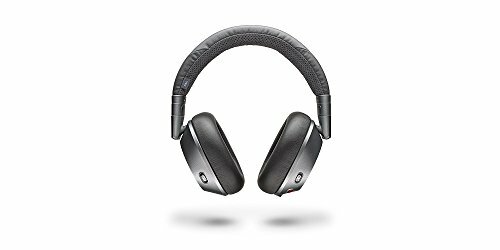 The only reason we didn’t give these our overall best award is that not all users need the funky noise canceling function (that removes the hum of engines and other ambient noise on airplanes). Also, the Bose units are just a bit too expensive for us to recommend to everyone, but they are a solid choice. 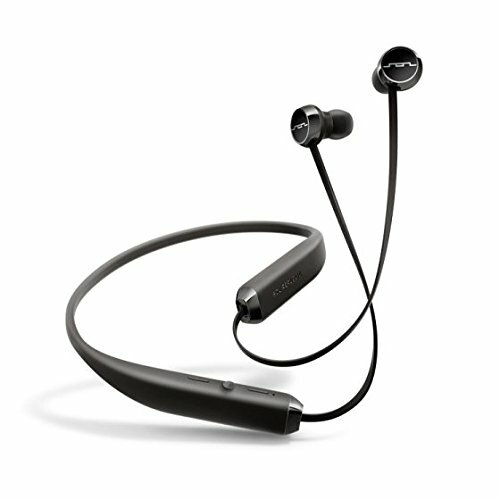 The LG TONE Platinum earbuds are a unique design for those that want killer battery life in a distinctive band design. 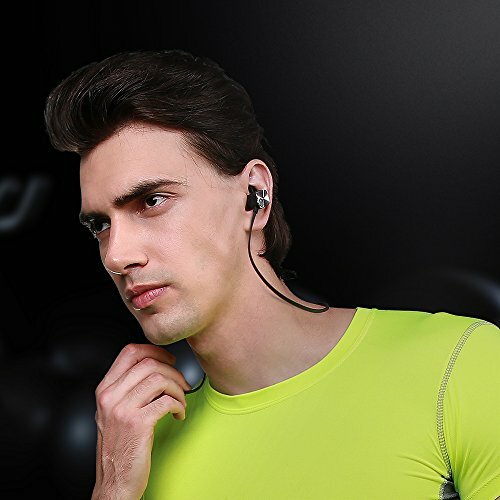 LG has packed in crazy quality 24 bit audio processing directly into these portable earphones! This means that you aren’t relying on the crappy audio processing on your cellphone anymore. 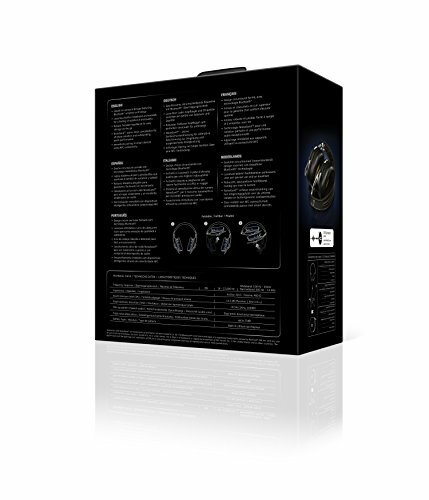 These will certainly give you some of the best sound quality to size ratio around. 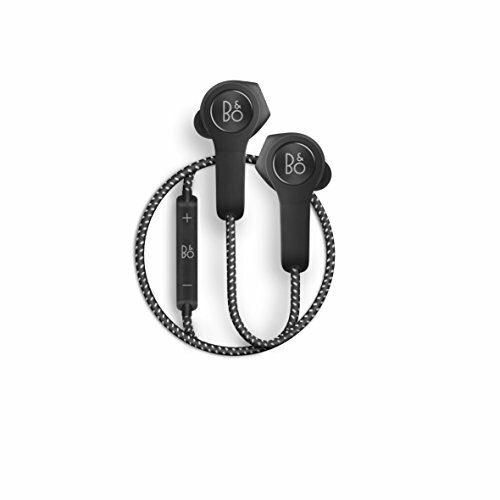 Capping off the list is Apple Beats (formerly known as Beats by Dre) and B&O with two solid, if not unremarkable sets of earbuds. 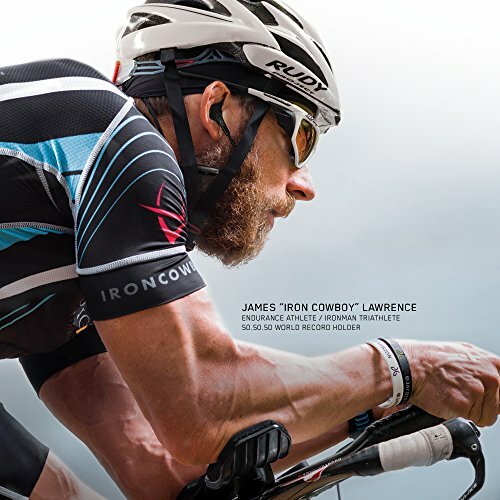 Would you believe us if we told you that Jaybird also makes the best sport / active lifestyle earbuds around as well? Well, that is indeed the case. This is actually the category that started the whole wireless headphone craze several years ago. After all, people running, jumping, lifting weights, doing… parkour… need the most freedom when it comes to playing audio. You simply don’t want those pesky wires catching on everything around you while running. 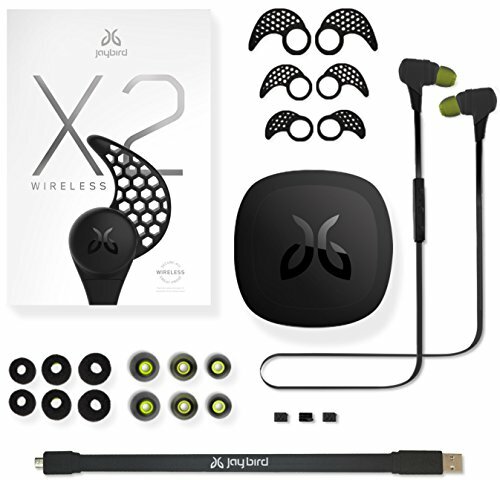 Right now we are awaiting the Jaybird X3 sport headphones, but since they haven’t fully released yet, the best you are going to get is their predecessor, the Jaybird X2. 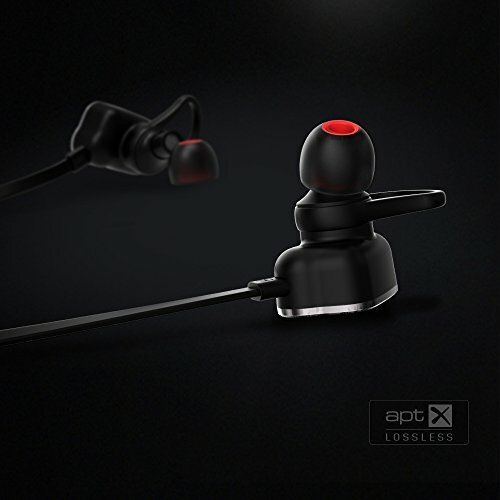 These are probably the most highly praised earbuds on the market today. And for good reason. 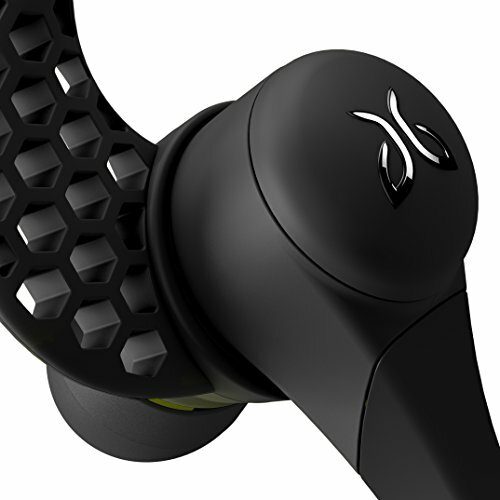 Jaybird is really good at designing bluetooth devices. The X2s were one of the first pairs to have truly skip-free usage. Most lower-quality units have trouble not skipping and stuttering (especially when you phone is a bit further away, tucked in a bag or in a jean pocket). 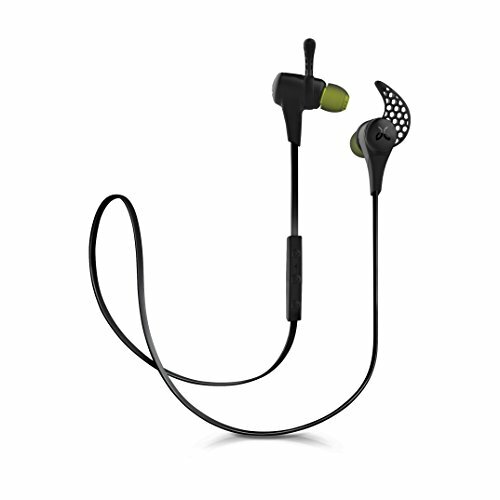 The run-time on the Jaybird X2s is right on par with their more fancy brother the Freedoms with 8 hours. The don’t come with the clip on battery pack like the Freedoms, and they don’t work with the MYSOUND app (the X3s will be adding this later this year), but feature-wise, the X2s have got you covered for the money you are shelling out for them. Sweat-proof is the name of the game here. 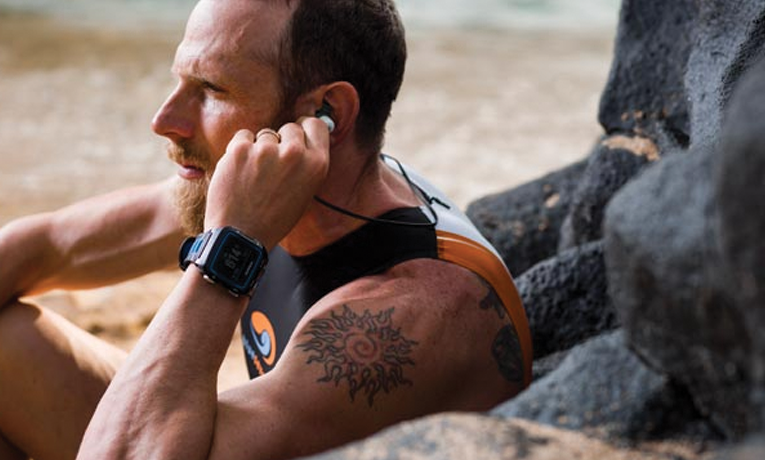 Jaybird was one of the first ones to design earbuds that were impervious to the salty liquid that pours out of your skin while you exert yourself. And this important for a set of earphones that will be put through its paces. They have a lifetime sweat-proof warranty. Add that to the overall solid-feel of these earbuds and you have a very durable set of earbuds. These are probably the most talked-about bluetooth earbuds around. 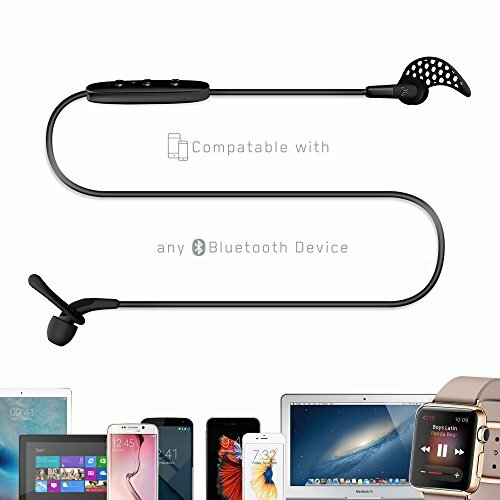 Amazon reviews are overwhelmingly positive and these earbuds are still recommended by most techies as the “headphone to beat” on the market right now. 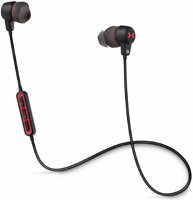 For those of you with an iPhone 7 or another phone that ditched the headphone connector, do yourself a favor and pick up a set of these suckers. 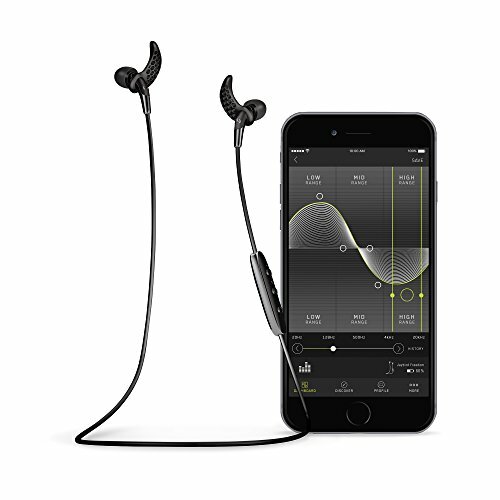 All of the runners up in this category offer a fairly similar package to the Jaybird X2. In fact, many of these could be considered “clones” of the X2s. 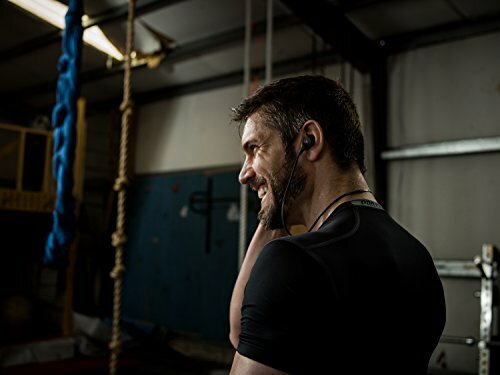 You can’t go wrong with any of these options from Bose, JBL/Under Armor, Motorola and Jabra which offer similar quality, sweat-proof construction, and stabilizer fins. The Motorola VerveLoop+ comes in with a whopping 9.5 hours of battery life, which sets them apart from the competition. They also come with Siri and Google Now voice assistant integration (for what it’s worth). The only drawback to this set is a decidedly more finicky bluetooth connection. For most users they will be fine, but there have been some reports of lost connections on iPhones. 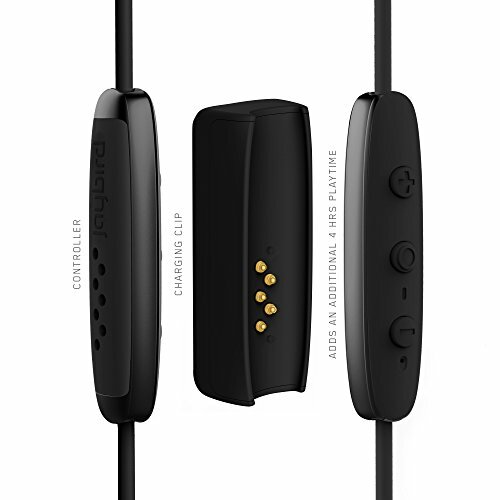 The Jabra Sport Pulse adds an integrated heart rate monitor, and the Bose SoundSport earbuds add quick connections via NFC (which is actually really handy). But at the end of the day these are all very similar and solid units in the sport headphone space. Take your pick! 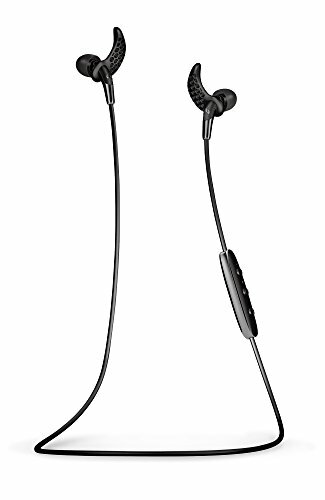 CVC 6.0 Technology: Noise Cancellation 6.0 reduces outside noises and enables clearer sound from microphone. You can get high quality, hands-free phone conversation even on the street or inside shopping mall. What if you want to get in on all of this sweet, sweet wireless headphone action but are on a budget? Well, don’t worry, this category of technology is in its 3rd and 4th generation now. This means that all of that great technology is trickling down to less expensive models. 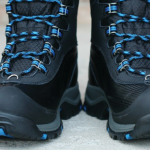 These aren’t the top of the industry, but for many consumers these will really fit the bill. 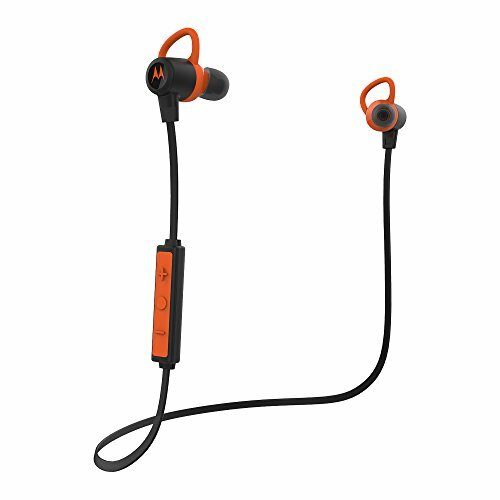 Especially for people who are prone to lose and replace earbuds on a regular basis, you may want to go with a cheaper pair. They may lack the crazy quality of the aforementioned Jaybird units, but they absolutely get the job done. Our favorite model from this budget category of wireless bluetooth earbuds are from a company called Mpow. They make this really unique model called the Magnetos which have been getting almost completely positive user reviews over the past year or so. The Mpow Magnetos take an interesting design approach to their headphones. They are certainly bulkier than any of the above earbuds, but they have a really great feel to them. They have a metal design that has a sort of brushed aluminum look to them which gives them a really quality look. They have the same stabilizer fins from other units and they generally get the job done. 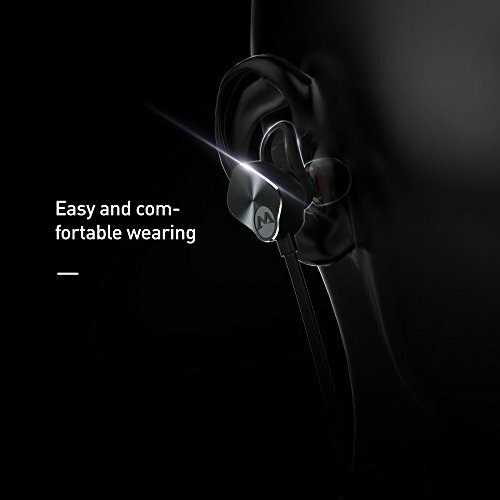 But the standout here is the unique system Mpow has designed to allow you to use the integrated magnets in each earbud to pause and restart music as well as answer and hangup phone calls. This is pretty cool and works most of the time. 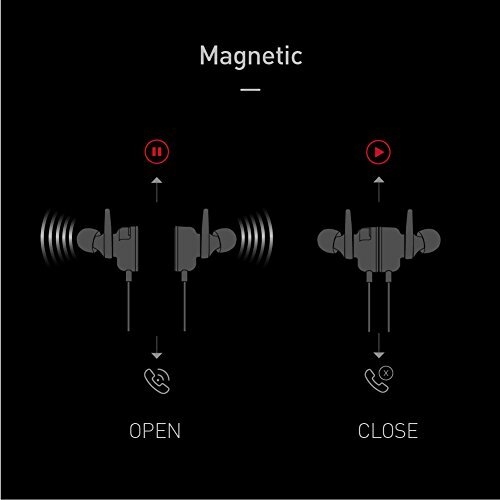 I picked up a pair of these earbuds a few months ago as a second pair to my X2s and I actually really like the magnets. They hold them in a single little bundle when they are stowed away which is really handy. 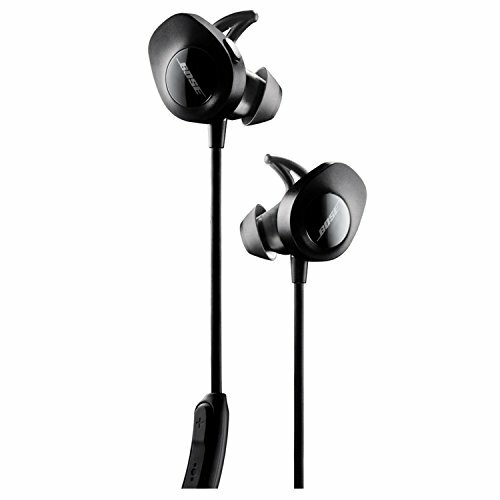 The Mpow Magnetos use the latest bluetooth 4.1 which will allow you to use these for around 8 hours with the advent of bluetooth low energy integrated in phones for the past couple years. With the included micro USB cable you can fully charge these back up in a couple hours. Simple. There are no crazy EQ functions here or removable batteries. Just a set of affordable earbuds that get the job done. They feel good. 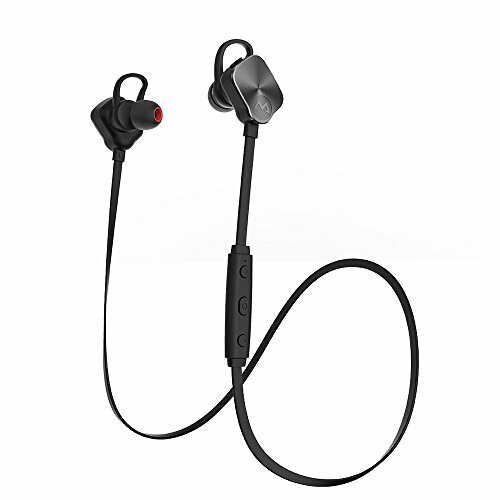 The metal design makes them feel very durable and the anti-tangle wire connecting the two buds is good quality. 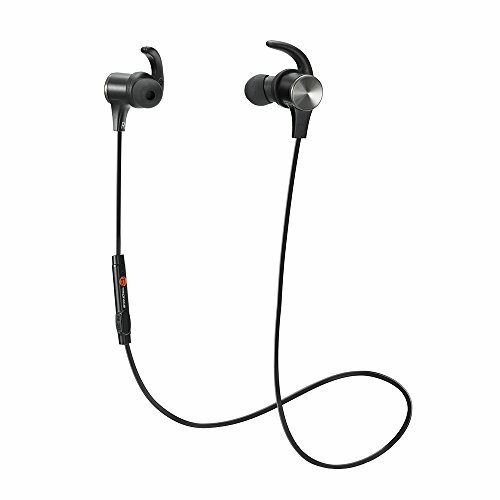 These are a $30 set of earbuds and somehow Mpow was also able to make them sweat-proof as well. You can’t beat the quality on display here for the price. 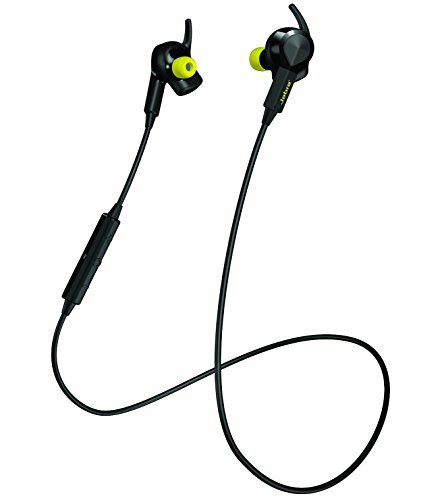 The runners up here vary in terms of affordability but they each provide a solid bluetooth earbud experience. The TaoTronics model is great but only offers 5 hours of battery. We love the Sol Republic Shadows, but they are probably bulkier than they need to be. 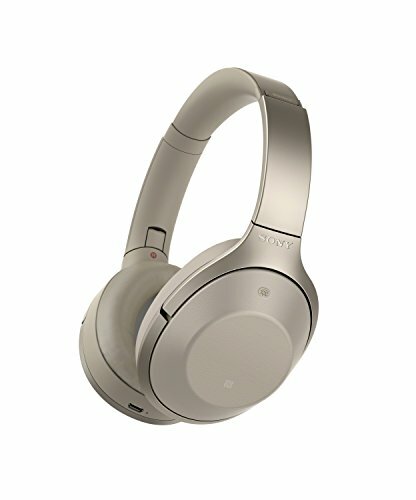 Both the Sony SBH80 and the LG HSB-910 units are a step up in terms of sound quality over the Mpow Magnetos, but they are both double (if not triple) the price of the Mpows. The choice is yours, but we still think Mpow has hit an amazing mix of quality and affordability here. Now onto the next size of headphones. 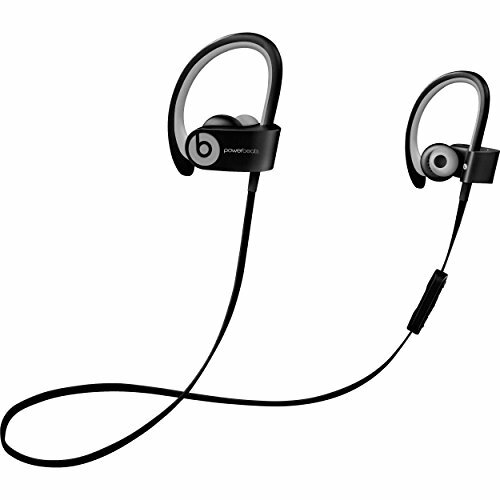 If you want something a little more substantial than earbuds in terms of sound quality but you can stomach having a slightly bulkier size, then on-ear headphones are where you will want to look. Don’t confuse the on-ear design with more traditional over-the-ear (think stereotypical big headphones). On-ear style tends to be oriented towards people who want to be mobile but still want good sound. 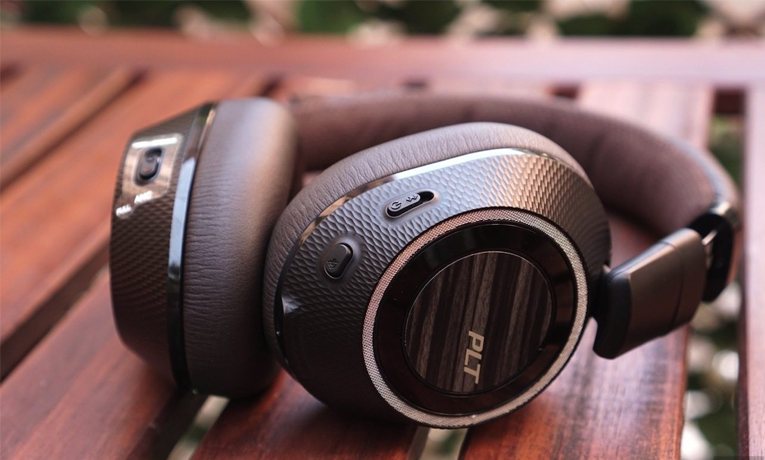 Our pick for this category was quite difficult since all of the candidate were really awesome, but we ended up settling on the Plantronics Backbeat Pro 2. 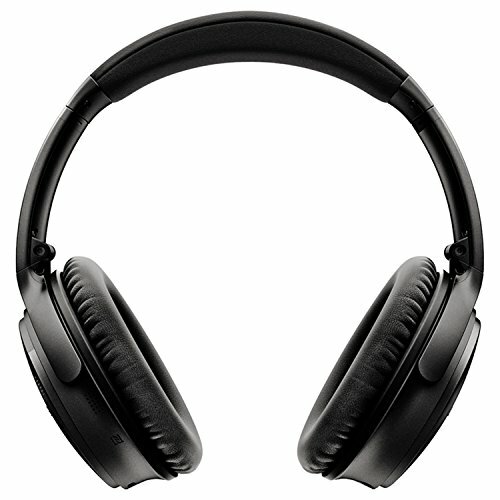 The Plantronics Backbeat Pro 2 on-ear headphones are somewhat understated in design. 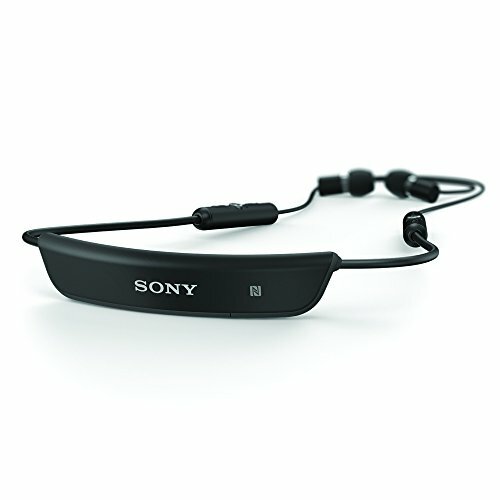 They are a typical headphone shape with a comfortable head band that is well put-together. 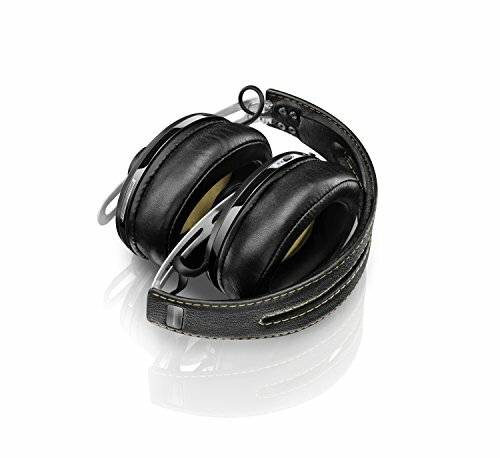 While they are considered on-ear headphones, they are a bit deeper set than others on the market. This could be considered sort of a hybrid between on-ear and over the ear (is that cheating?). 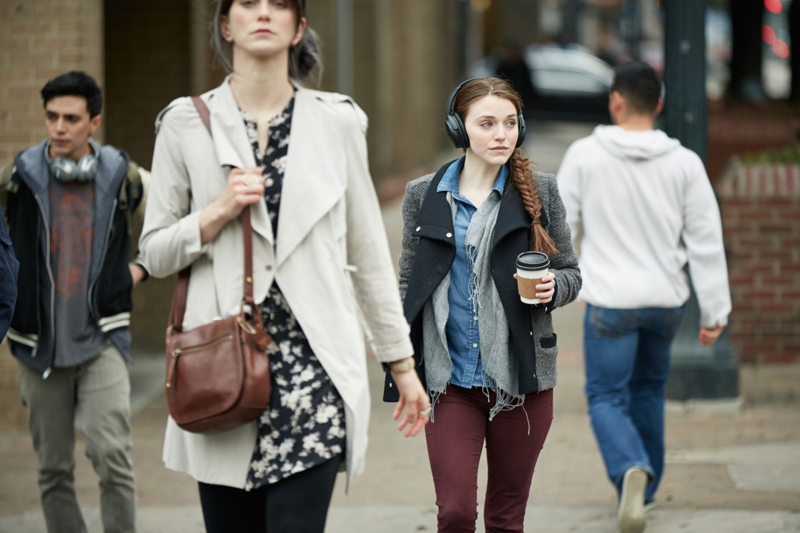 The Backbeat Pro 2s feature up to 24 hours of wireless bluetooth transmission! That is a lot of listening. 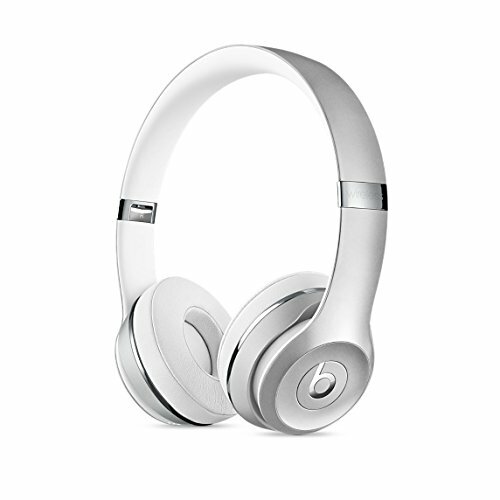 They also feature noise canceling technology (something that is usually reserved for a travel set of headphones). 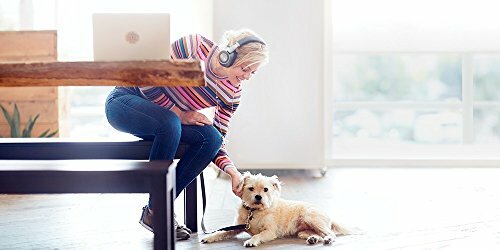 One unique feature here is where Plantronics has built in an “open listening mode.” In this mode the microphone that is used for noise canceling actually feeds this ambient noise into the headphones so you can more easily hear the world around you. I can imagine this would be very useful for someone who walks around a lot and wants to be aware of traffic around them. The bluetooth range on these is also bonkers. They will stay connected up to 300 feet away! 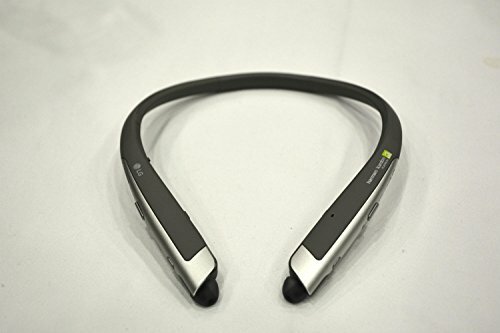 Couple that with quick NFC connections to smartphones and tablets as well as an automatic play/pause mode when you put on or removed the headphones and you have one of the most feature-rich on-ear packages available. The quality is impeccable, easily feeling much more solid to the touch than anything Bose offers. The cushioning on both the headband and the ear cups is high quality and does not feel like it will flake or crack in any way (this is a problem with less expensive ear cup material). Not only this, but the design of the Pro 2 is much smaller and lighter than its predecessor. 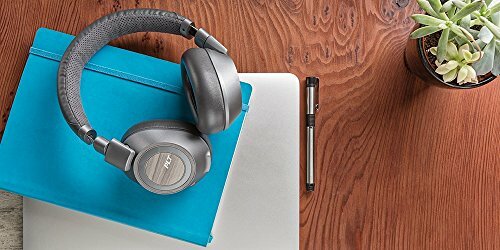 The Plantronics Backbeat Pro 2 wireless bluetooth headphones are for our money the best basic on-ear (non travel) headphones available. Their ridiculous suite of features matches or beats anyone else in the field but their build quality puts them over the top. The below models are no slouch! 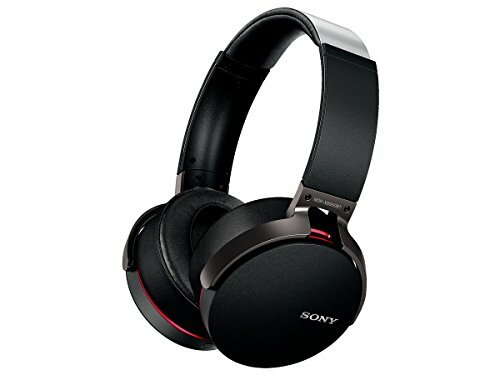 The Sony MDRXB950-BT (Sony please work on these model numbers…) are a great set of on-ears but they lack any of the interesting features available in many other models on the market. Having said that, a lot of people swear by the bass-y sound put out by the large Sony drivers. 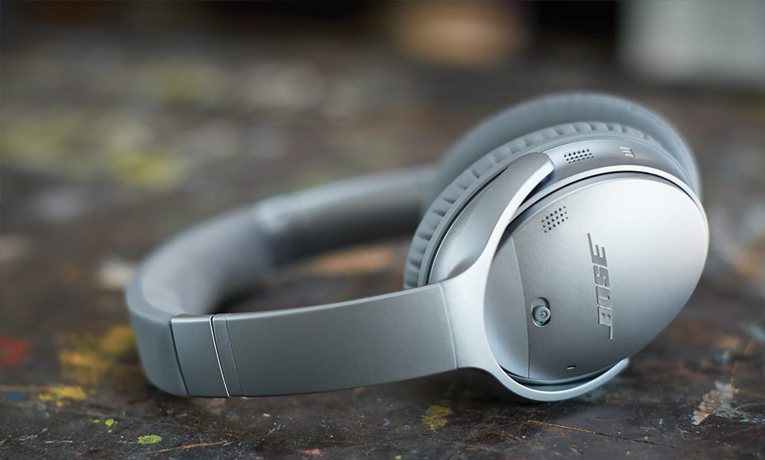 The Bose SoundLink on-ears almost made it to number one in our analysis. They aren’t quite as solid as the Plantronics and their battery is only rated at 15 hours, but the sound quality and external design of these headphones is top notch. I especially love the head band on the Bose. 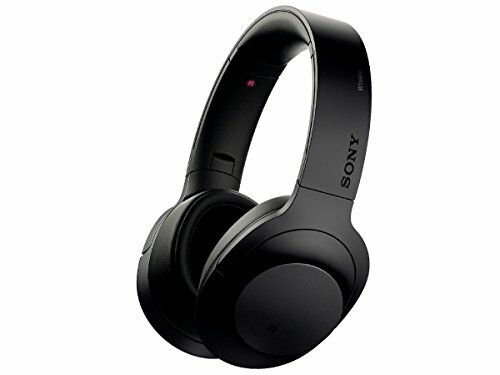 The Sony H.ear’s are just plain awesome. But you’ll pay for it. We aren’t the biggest Beats fans in the world, but the Beats Solo3 are actually amazing headphones. Pretty good sounds quality coupled with marathon 40 hour battery life was almost enough to give them the top billing number one spot here. So you spend a lot of time on the road eh? This means that you likely spend endless hours on planes trains and automobiles. And this time spent can really grate on your sanity. Engine noise and other ambient noise can give you headaches and just plain tire you out. 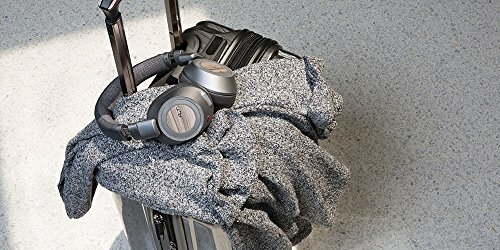 So this category of headphones takes everything great about on-ear headphones and makes them your favorite traveling companion with the addition of noise canceling technology. Travelers swear by these things and you might too. 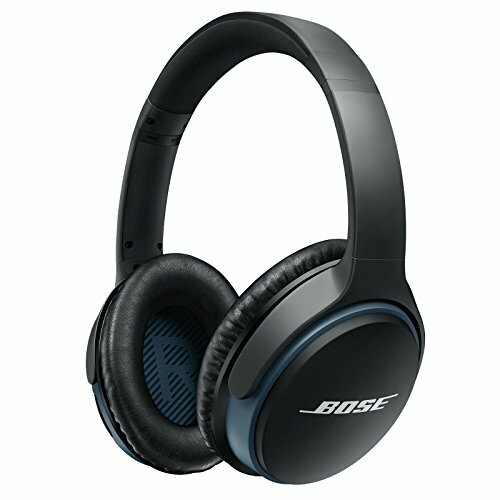 This is the first category that we finally think that Bose has the best product. 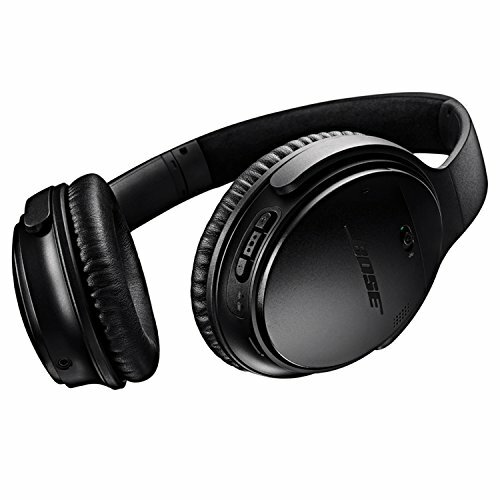 The Bose QuietComfort 35 are the reigning champion of the best traveling headphones around. 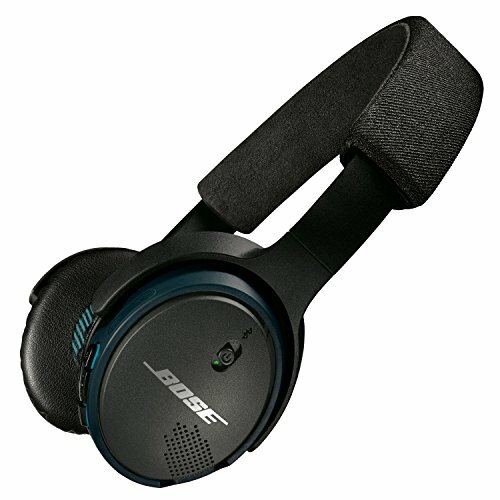 The Bose QuietComfort 35 are the followup to the wickedly popular QuietComfort 20s of years back. And they still reign supreme. Bose has been a market leader in the noise-canceling area for over a decade. And this expertise shines through with the QC35s. These earphones have an understated but wholely lovely design. They are… black. Very black. Or silver, if you prefer that look. 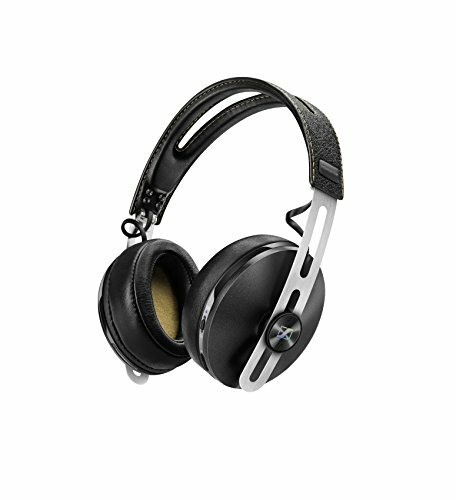 The design works and is now iconic in the area of travel headphones. Feature-wise the Bose QuietComfort 35s tick all of the right boxes. 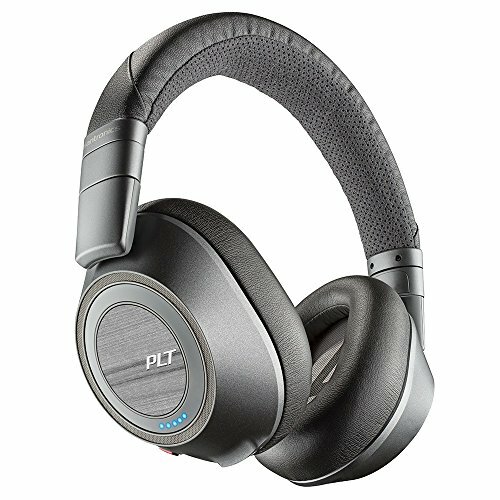 They offer world-class noise cancellation (seriously, you need to try it to believe it). 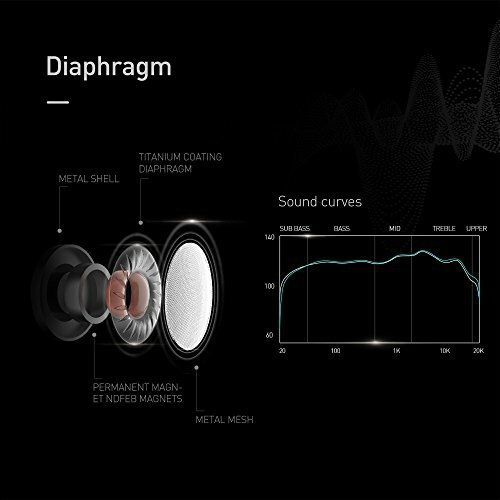 They also include a pretty amazing equalization system which adjusts itself on the fly as the volume changes. This is important when you are using these in both very quiet but also very loud environments. The QC35s also have quick NFC pairing so you can connect them to your phone or tablet with just a single touch. On wireless mode the QC35s will last a about 20 hours which isn’t bad for a set that are powering always-on dual microphones to make the noise cancelling magic work. On wired-mode (that’s right, you can also attach a cable) you will get up to 40 hours. Well, they are Bose. Which means they are solid, but not necessarily top of the line in terms of build. They use a lot of plastic, but to be honest the QC35s seem to be able to take a beating. 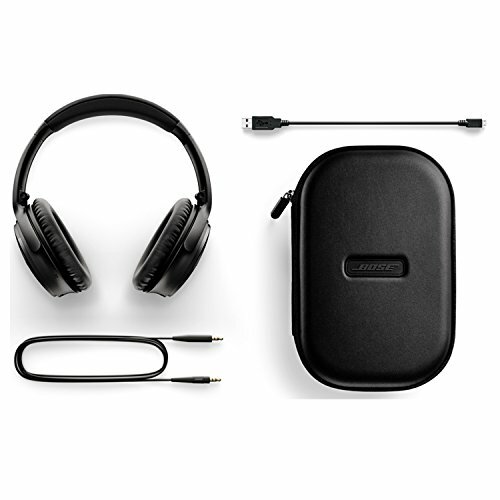 They come with all of the adapters necessary for in-flight use and tuck them nicely into an included travel case that the headphones unfold into. It is something that Bose has done for a while now, but it never ceases to amaze me the level of detail that is put into the build-quality and design here. Let’s just say that you will enjoy these for many, many years to come. 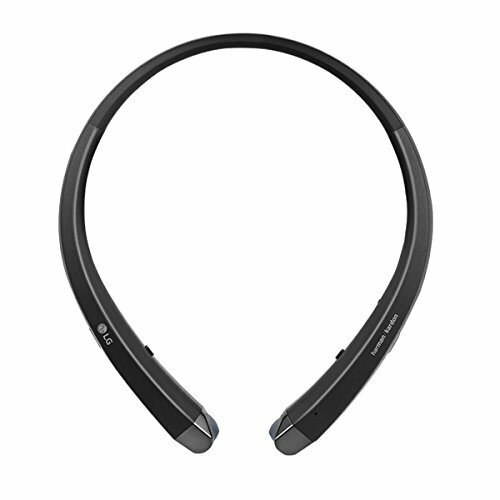 Best-in-class noise cancellation, solid build-quality, good battery life… What more do you want? 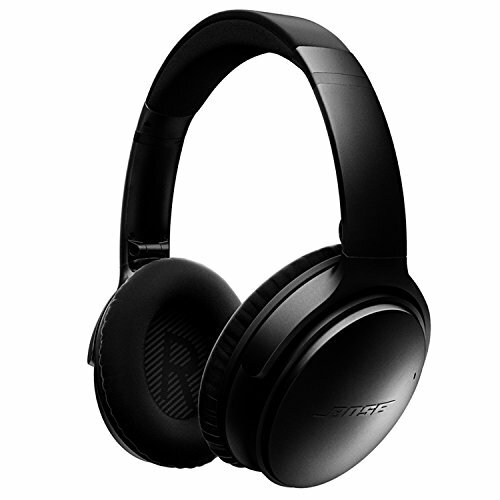 At this point it is going to be hard for any other travel headphone to come close to what Bose is offering here. 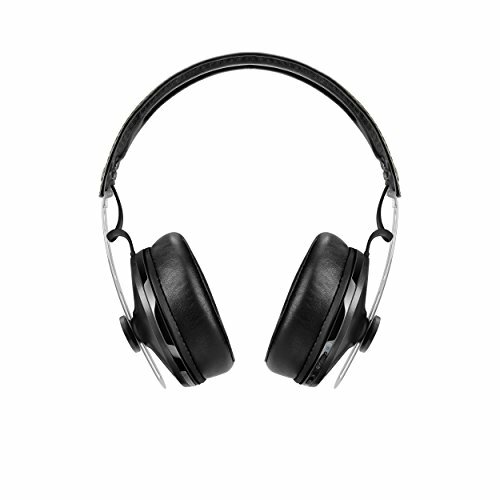 Dare I say that these are the perfect travel headphones? We actually included another pair of Bose headphones on this list. The Bose Soundlink around-ear headphones are a good option for someone who either doesn’t need noise-cancellation or just doesn’t want to shell out the extra dough for the QC35s. 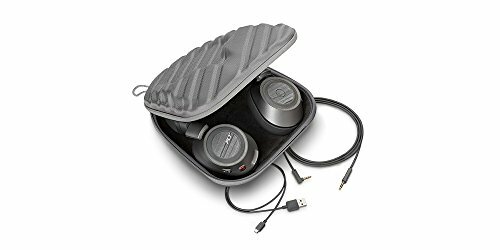 These are perhaps one notch below the QC35s, but are all around great travel headphones. The closest thing you will get to the Bose QC35s are either the Sennheiser PXC 550s or the Sony MDR1000X. 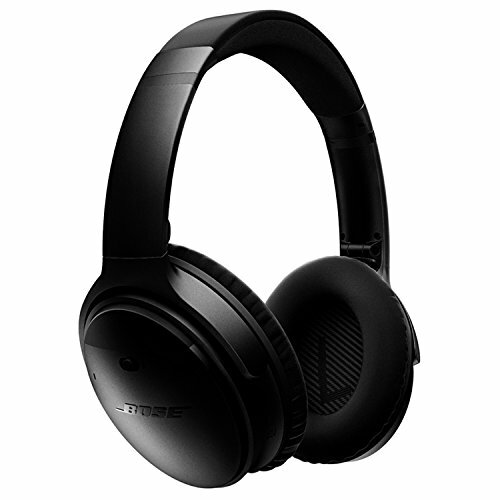 These are basically direct answers to the Bose offering, complete with noise cancellation and similar convenience features. 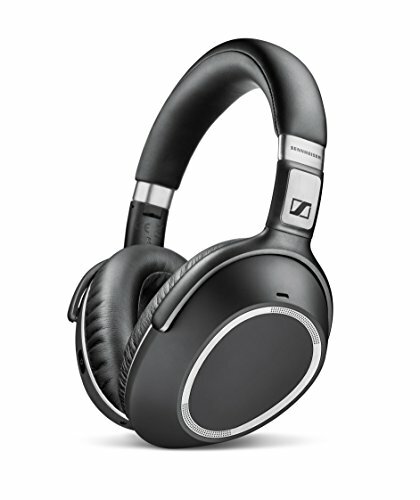 In fact, there are loyal Sennheiser users that absolutely prefer the Sennheiser sound quality to the Bose. These are all solid choices for the avid traveler. 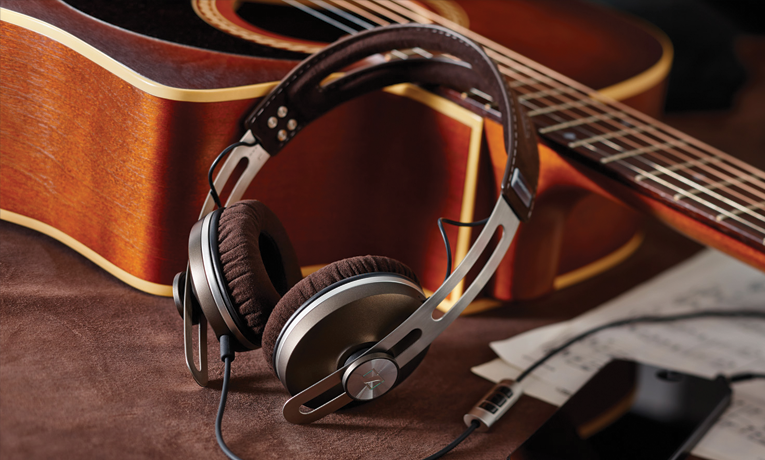 Some say that anything other than a studio pair of monitor headphones are not “real” headphones. And they have a point. In order to get all of the intricate highs, lows and mediums you really need a finely tuned pair of headphones with the proper drivers and sound processing. 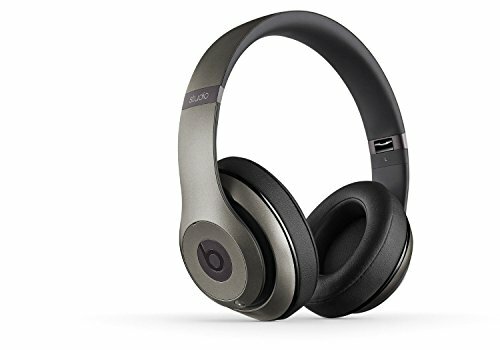 Luckily we are seeing high end headphone makers moving into the wireless bluetooth area and offer really high quality studio-grade bluetooth headphones. Blasphemy? Perhaps. Awesome? Yes. 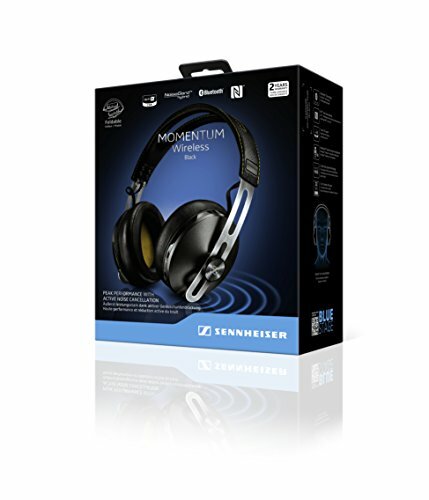 If you are looking for a pair of studio-quality headphones that you can critically listen to Pink Floyd around the house or to literally wear in a studio, then you owe it to yourself to check out the Sennheiser Momentum Wireless headphones. The Sennheiser Momentum Wireless headphones are absolute beasts (in a good way). These look like a set of premium headphones that the Beatles wore at Abbey Road Studios. Complete with the metal adjustment bar and the leather cup pads. The design on the Momentums is palpable. These are the kind of headphones that you want to show off when someone comes over to visit. They are like an old turntable, anachronistic but somehow familiar. 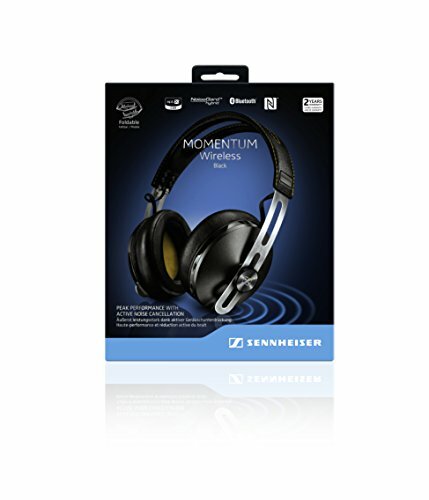 But mix in a bit of modern technology (in this case bluetooth wireless connectivity) and you have something like the Sennheiser Momentums. The Momentums feature a full closed back design with four microphone noise cancelling technology to cancel out any unwanted ambient noise. 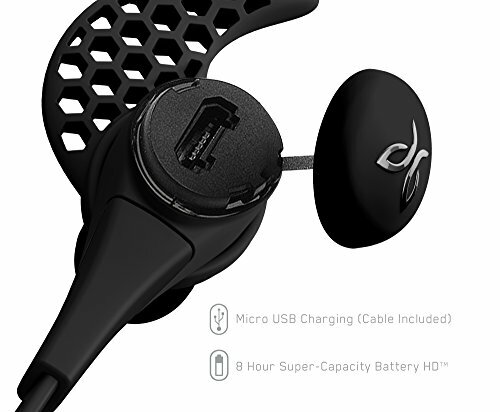 They have a 22 hour battery life while you are using the noise cancellation (obviously more if it is not on). This makes these headphones actually a decent choice for the sound-obsessed traveler as well. There is NFC for quickly connecting your phone and a full two year warranty. Sennheiser simply does not mess around when it comes to build-quality. And that is doubly true when it comes to the Momentums. 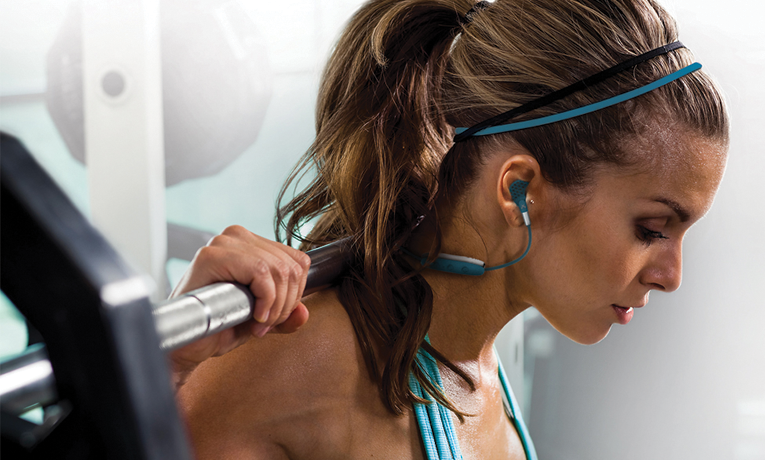 The structural headband uses stainless steel (none of this plastic BS from other manufacturers). The ear pieces are made from real leather. 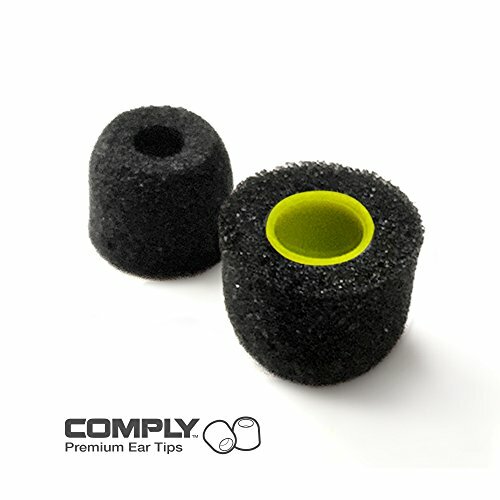 Memory foam is integrated into the ear pieces for extremely comfortable listening sessions. There isn’t anything to not like in terms of build-quality here. The Sennheiser Momentum Wireless over the ear headphones are the embodiment of quality old world design mixed with modern innovation. 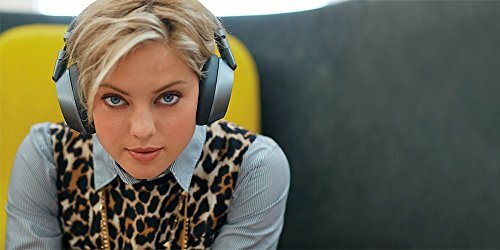 They keep everything awesome about their studio-grade headphones and then add high resolution bluetooth connectivity. 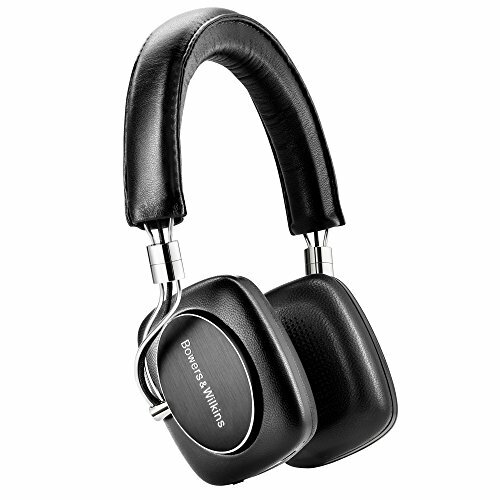 These are simply the benchmark for this high end wireless bluetooth headphone category. There are some other doozy headphones that came runners up here. And honestly, it was a bit of a toss up. Each of these models is rock solid. 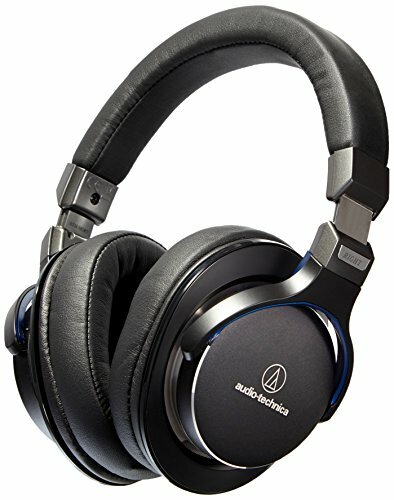 The Audio Technica ATH-MSR7BK SonicPro’s are a perfect set of headphones for someone who appreciates great sound but can’t quite justify the $500 for the Sennheisers. 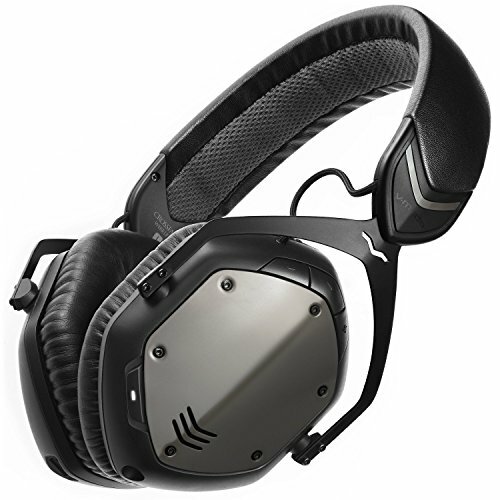 The same with the V-MODA crossfade, although we weren’t too excited about only 12 hours of battery life with these or the slightly futuristic style on these. 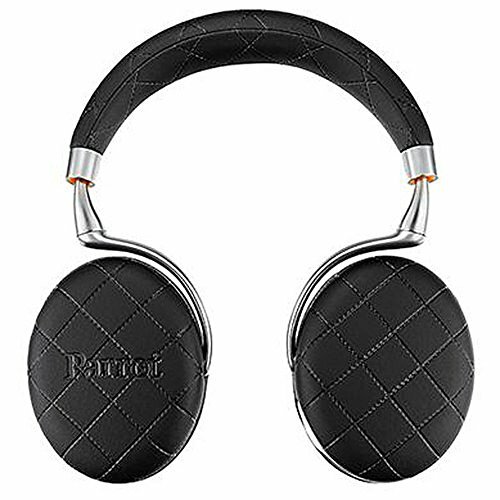 If you want something that makes a bit more of a statement in terms of design, consider the pretty wacky looking Parrot Zik 3.0 headphones. They have a bit of a 1960’s mid-century modern feel to them, but they are also one of the most highly reviewed sets of bluetooth headphones around. These could have easily been picked #1 in this category. There you have it folks, all of the best wireless bluetooth headphones around. From the lean portability of the Jaybird Freedoms to the unmistakable elegance of the Sennheiser Momentums, you now should have enough knowledge to get the perfect set of headphones. For your viewing pleasure we have pulled out all of the products listed above and put them into a handy list with prices below. They are in order of appearance in this buyer’s guide. We hope you liked the guide and encourage you to share it on social media with anyone you think needs to be pointed in the right direction. Thanks!